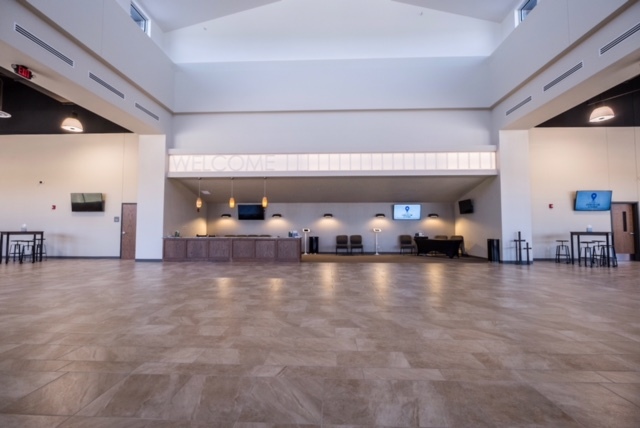 This 45,000 square foot facility includes a completely new sanctuary, pastoral offices, and a state-of-the art audio/visual production center. 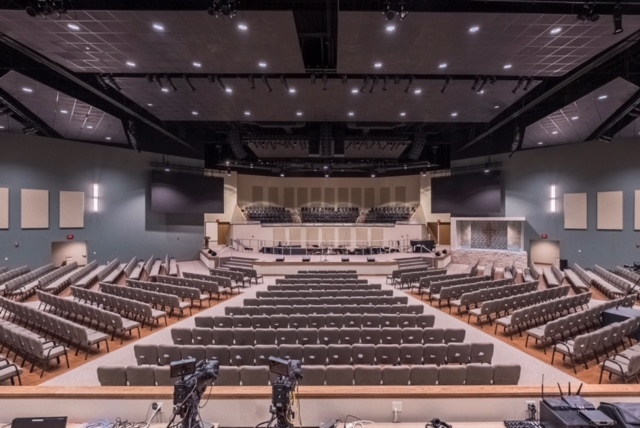 While the church’s original sanctuary had seating for 750 people, the new worship center has seating for 1, 680. 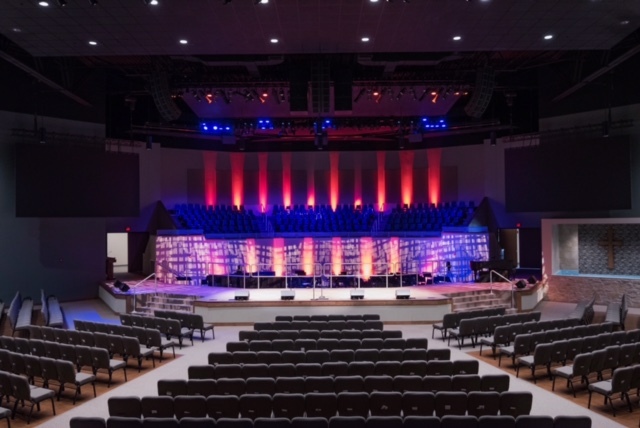 900 seats are permanent stadium seating and the remaining are removable chairs which allows the space to be used for different events or banquets. 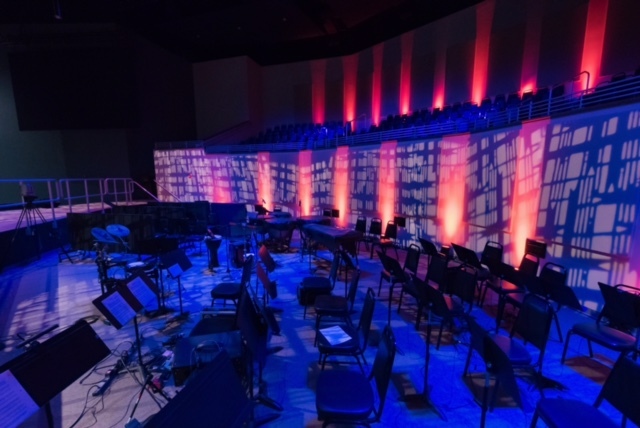 Lighting is 100% LED and those lights, along with cameras and other digital technology allow capacity for future theatrical productions. 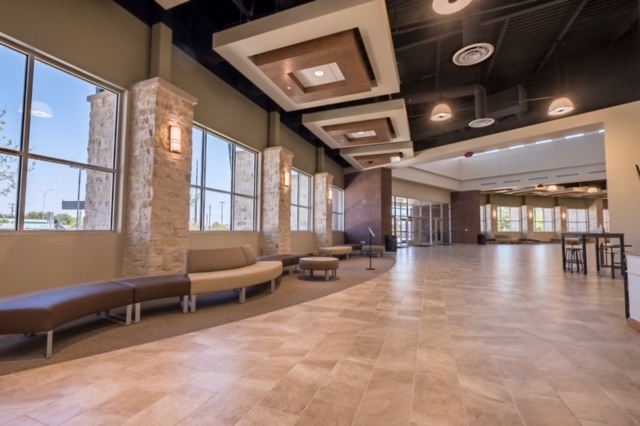 Acme Electric Company is a commercial and industrial electrical contracting firm with locations in Lubbock and Forth Worth, Texas.